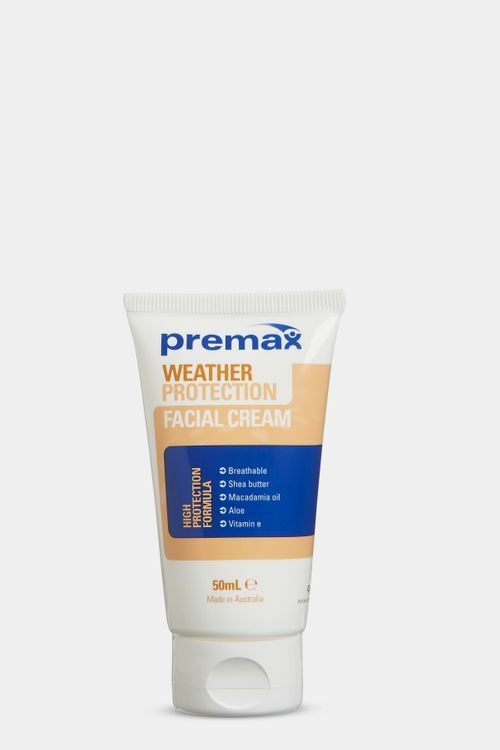 What’s special about Premax Weather Protection Facial Cream? Your skin can take a beating whilst you’re outside keeping fit and healthy. During the harsh winter months, your skin is exposed to the cold temperatures and dry winds whilst exercising, usually followed by exposure to dehumidified, artificially heated indoor conditions all of which cause a depletion of your natural skin lipids and moisture. The summer months can at times have a similar effect on your skin. Dry hot winds, sun exposure, and airconditioned indoor environments can also lead to your skin becoming dry, dehydrated and irritated. A few years back we were presented with a challenge from a number of athletes. The problem was that they experienced dry skin for all the reasons mentioned above, however there was no sports-specific cream on the market to protect their skin from harsh elements whilst exercising. In collaboration with some of the world’s best outdoor athletes and sports teams, we developed a solution to an essential need – the Premax Weather Protection Facial Cream. 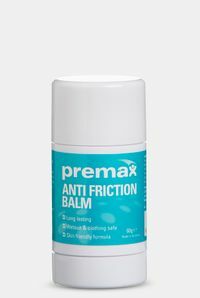 The Premax Weather Protection Facial Cream is a sports-specific, breathable, ultra-endurance, non-comedogenic facial cream formulated to protect your skin from harsh environmental conditions whilst you’re outside keeping active. This light textured, but super effective cream will provide an additional barrier to supplement your skin’s natural defence. “As an outdoors athlete, Premax Weather Protection Facial Cream is my life saver in the elements. As a skier and cyclist, I am exposed to bad weather conditions for hours at a time. I find this cream to be breathable and importantly last throughout the day without feeling thick or heavy. At the end of the day, my skin feels as if it’s been protected, and amazing”. This light yet richly emollient cream is more than just a barrier to the elements. The Premax Weather Protection Facial Cream also has a long list of natural ingredients that will nourish and condition your skin. Rosehip Oil and Sweet Orange Peel Oil will help elevate skin Vitamin C concentration, boosting collagen production, and blood flow, all of which are essential for anti-aging. Aloe Vera, Castor Seed Oil, and Lavender Oil are natural anti-inflammatories and soothing, and powerful antioxidants Shea Butter and Macadamia Oil have also been blended in to provide deep skin conditioning and assist with the prevention of water loss. The Premax Weather Protection Facial Cream does not contain any SPF. We believe that not every skincare product should contain a sunscreen, however this product can combine very nicely with our super light and dry Premax Sports Sunscreen SPF50+. How should you use Premax Weather Protection Facial Cream? You should apply Premax Weather Protection Facial Cream to your face before you get outside exercising, particularly when your skin will be exposed to wind, cold, or excessively dry weather conditions. Test product for any skin irritation on a small area of the skin prior to use. Apply generously and evenly at least 5 minutes before starting your activity. Reapply every 3-4 hours whilst outdoors. This product is super great for our early spring races to protect from the wind and the cold. It helps keep the skin healthy and with vitamin E it helps keep our skin from drying out especially in the tough cold conditions we often race in. We had perfect conditions to use the Weather Protection Facial Cream in Korea as well in Sweden with -28 Celsius. I really felt a big difference with the cream. The air still feels cold but the cold doesn’t hurt and the skin can recover way faster. So the protection part is really there! Being a professional cyclist my skin takes a beating, not only from the sun, but from the wind and cold too. 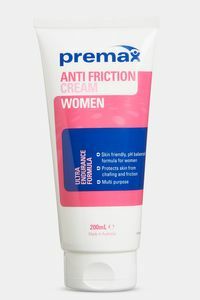 The Premax Weather Protection Cream has been a game changer for me on those extreme weather days. When I apply the cream, my skin feels hydrated, smooth, and fresh at the end of the day. It works!